As many of you know, I am a DIE-HARD CurlBOX supporter! Every since I could get on the (which like many of you took some time), I have faithfully been charged $20 a month and received an amazing curlBOX full of all kinds of delicious goodies for my hair! I’ve received 8 boxes (July to February), in addition to shopping the cB Black Friday Sale. Within that time I am proud to say that I have found soooooo many products that I LOVE. These are products that I will purchase after I run out vs. waiting on my next box to see what new items I will get, so… I canceled my subscription to curlBOX. I firmly believe that this company is about helping women of color try the best products out there for our hair, whether relaxed or natural. But, it is also about helping you find what works best for your hair. Not all the products in the box work for everyones’ hair, but some will. I found what worked for me! 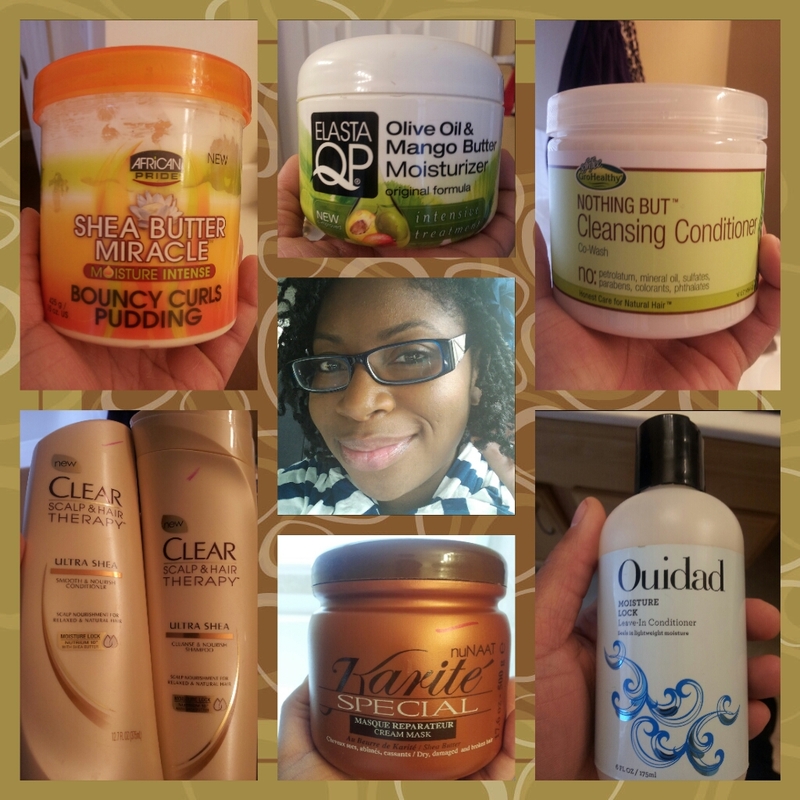 So I give you top products that made me cancel! 1. 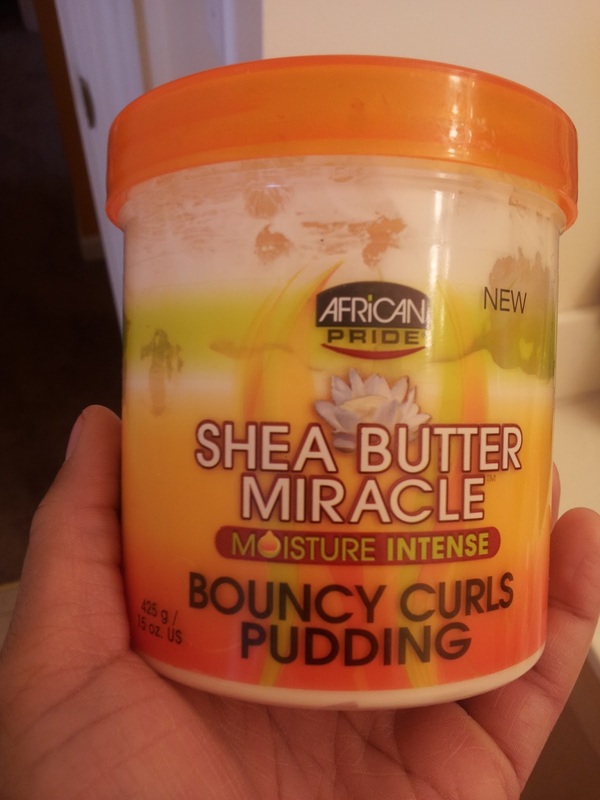 African Pride Shea Butter Miracle Bouncy Curls Pudding – ($4.99/12oz) This stuff…maaannnn…is THE JOINT!!! I get great twist outs and moisture with this pudding. This was my preferred styling product for the Dec CB Holiday shoot as well! And when I went to the cB Black Friday Sale, I got 2 more containers of pudding, 1 for my mother and 1 for me! 2. 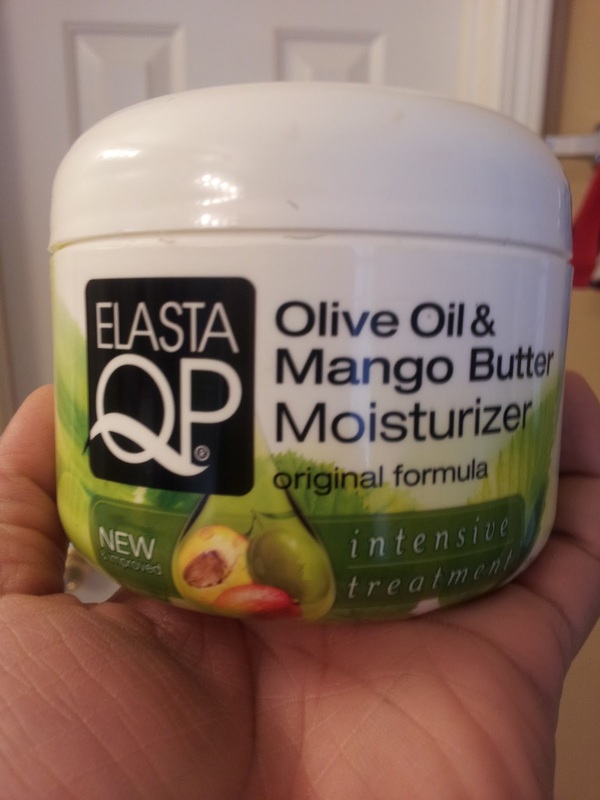 Elasta QP Olive Oil and Mango Butter Moisturizer – ($7.99/6oz) The moisture this gives is impeccable for my hair type! It is especially good for targeting the ends of the hair. My strands love it. I put it on almost every night mainly on my ends, but also on the entire shaft of my hair every other night if I need it. And whenever I use it, my friends have their noses in my hair! 3. 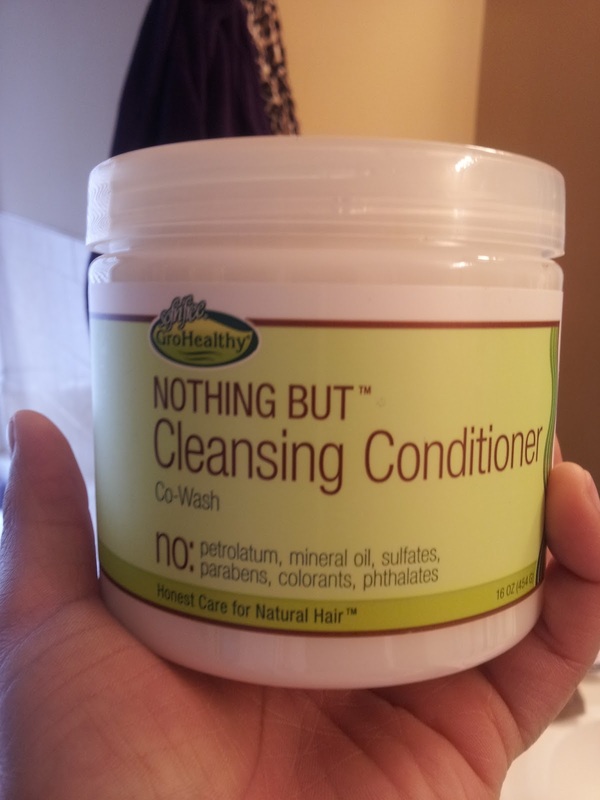 Nothing But Hair Care Nothing But Cleansing Conditioner – ($8.99/16oz) I am not a big co-wash person, and this product can be used as a co-wash or conditioner! It is amazing for detangling and softening the hair in the shower! So when cB released the birthday box coupon online for 20% off, I bought more of the conditioner, the Curl Sealer, and the Intense Healing Mask (please don’t get me started on this!!!!! OMG I just need to do a review…talk about soft hair after a DC!!!!) The Nothing But line is THE TRUTH! 4. 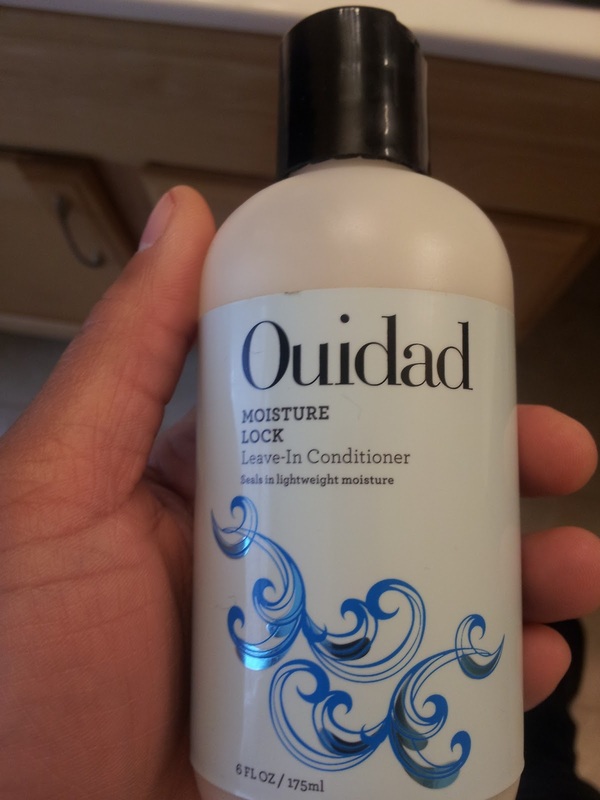 Ouidad Moisture Lock Leave-In Conditioner – ($23/8.5oz or $69/33.8oz) Mercy….This leave-in is creamy and not too watery. I usually prefer a cream leave-in vs a liquid one because it adds more slip to my hair. My hair is very thick, so the creamier the leave-in, the better it is for detangling my hair after exiting the shower. I usually make a leave-in, but I love this one so much I haven’t made on in weeks! 5. 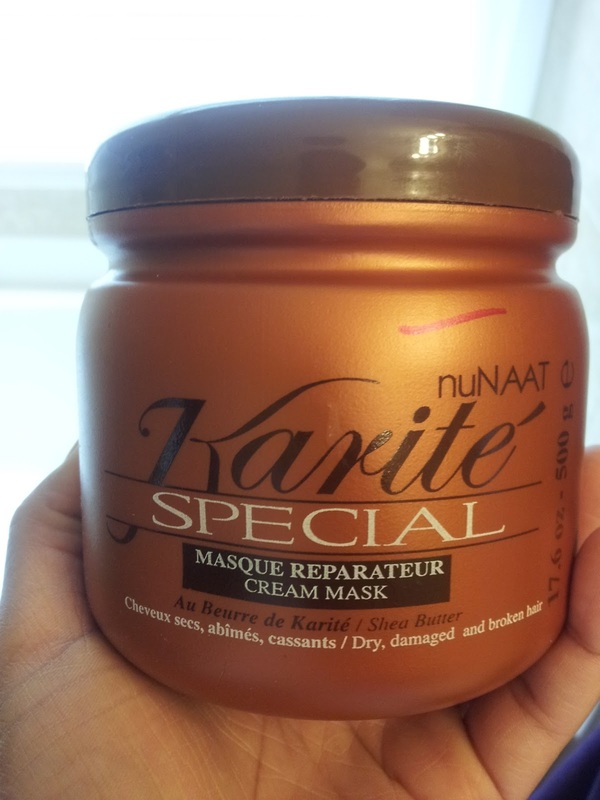 Nunaat Karité Special Deep Conditioning Hair Mask – ($5.99/17.6oz) Now if you want want amazing moisture and softness before styling, this is it! It makes my hair super soft after my DC. Usually my hair feels moisturized, but not necessarily soft. This one does both. Its perfect for the winter months. Now you wanna talk about a #BAC (Bad A** Combo), this combined with the Nothing But Hair Intense Healing Mask is a POWERHOUSE deep conditioning treatment that works perfect with or with out my steamer for great moisture infused hair! 6. 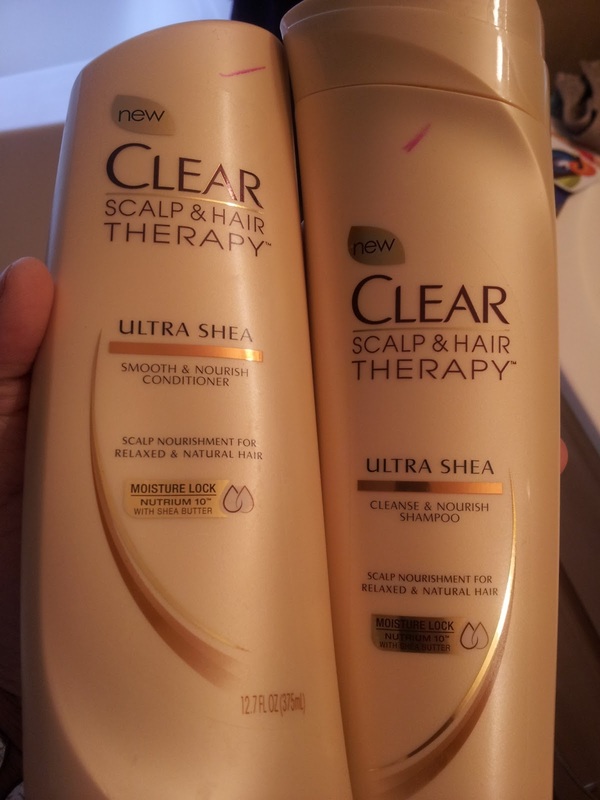 Clear Ultra Shea Shampoo and Conditioner – ($4.99/12.9oz and 12.7oz) This is a serious dynamic duo! Myleik always says that she loves this for dry, itchy scalp. I love it for cleansing my scalp and softening my hair. The shampoo doesn’t make the hair feel stripped, even though it feels clean. I also love that I can detangle with the conditioner! My hair always feels moisturized when I use this set. I use this pretty much weekly! As you can see, most of these products are after-shampooing products. This is the area I have had the most trouble with when it comes to moisturizing my hair. I do have some favorite shampoos from CurlBOX: Creme of Nature Argan Oil Shampoo, Isabella’s Own Sulfate-Free Shampoo, and Nothing But Clarifying Shampoo. Theses 6 products are to blame for my cancelation! And to me, this is a great thing! This does not mean that I will never to back to a regular subscription, but for now I’m very happy with what I have and so is my hair! I will still purchase the CurlBOX Natural since it only occurs once every now and then, so I won’t be completely out of the loop. CurlBOX should considers this a big win because they didn’t do anything wrong. They did everything RIGHT!! Their service and product selection is impeccable! You have truly made a happy customer over here! I tried the same nuNaat product and I loved it. Great entry! Great perspective and exactly why I cancelled as well! Thanks for sharing! Great review of all products!! I have tried the Ouidad and it wasn't that great on my hair. It's amazing how different hair types react. But the good thing is that CurlBox did it's job! I need to subscribe!